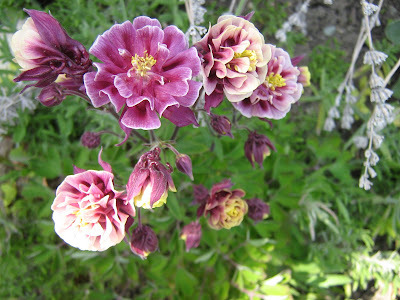 They are one of my very favourite spring flowers. They seem so delicate yet they manage to survive in my garden each year. 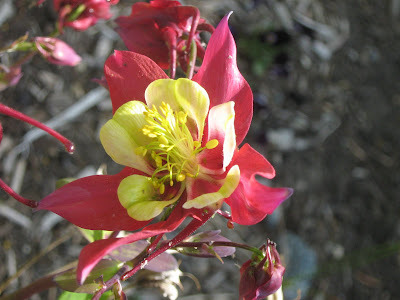 I have about 8 different kinds of Columbine and I've noticed tiny baby plants coming up which means they are happy enough in my yard to send out seeds. 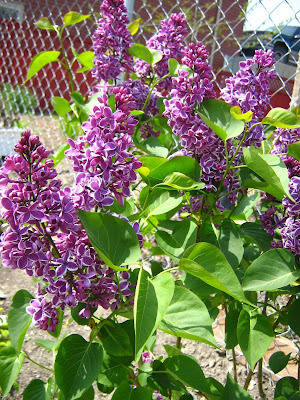 What would Spring be without a Lilac? I wish I could post the smell as well. It is absolutely amazing! Very pretty. 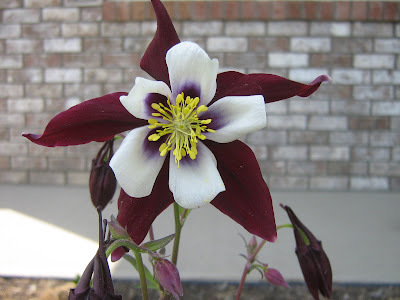 I especially love that columbine in the top picture, I don't have that kind. It looks quite different than the regular ones. There is just so much in bloom right now isn't there. It is quite amazing, really. Every year I am amazed that my plants are actually growing again! I keep finding new treasures in the garden as well. I can see why you enjoy it so much.